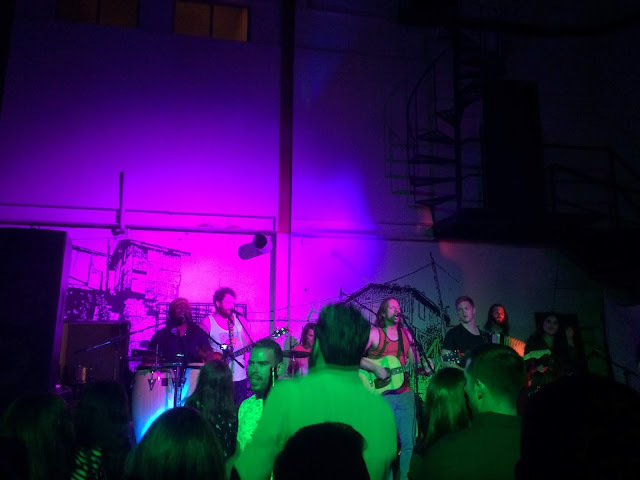 Clubbing is one of the main attractions in Tijuana and I had my fair share of that. Disclaimer: there are many bars and nightclubs in TJ which are more famous the than ones I attended. I wasn’t interested in mingling with a typical crowd. 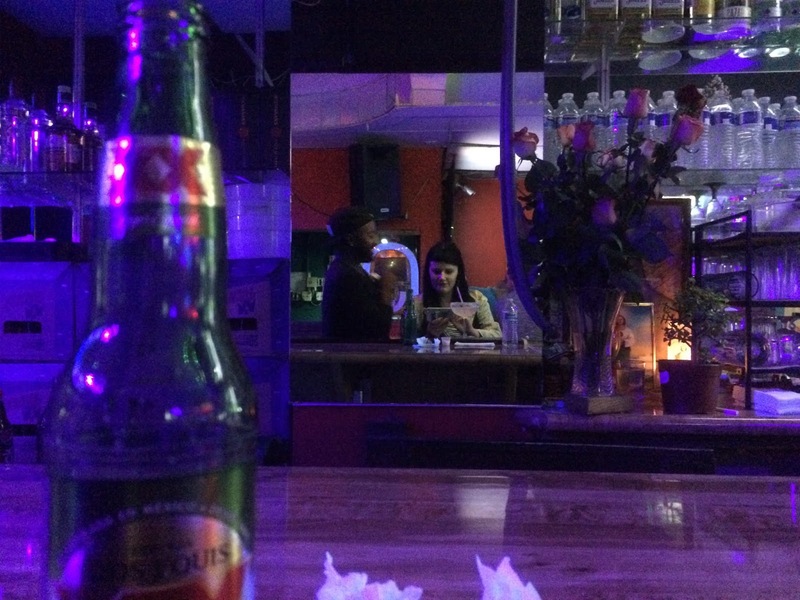 I wanted to follow my friend to his usual haunts and see how more local people partied. Everyone drinks Tecate, and most people drink Tecate from bucket. That means they order a bucket of ice wth 12 beers inside and drink those with their friends. There are glass beer bottles everywhere. I don’t drink beer so for me this is frustrating. 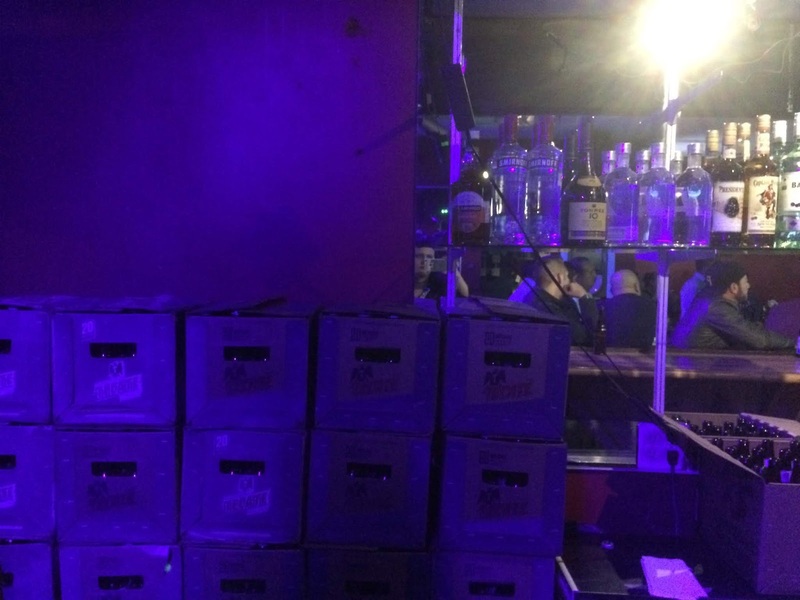 There are even bartenders who can’t make cocktails because all they serve is bottled beer. 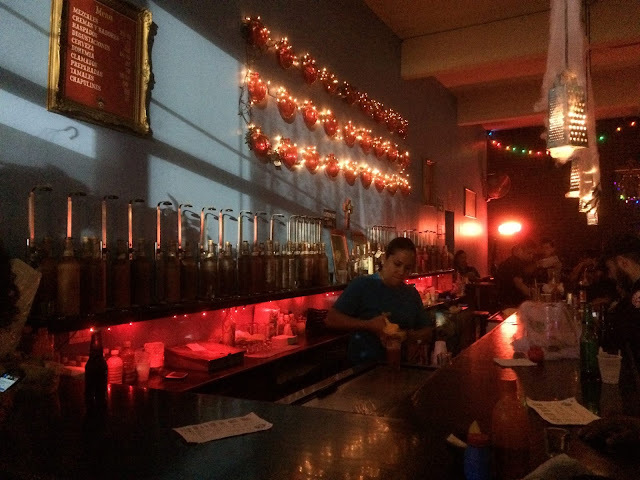 There is no need to order at the counter – all clubs have staff who roam the crowds and ask patrons if they want drinks. Tell them your order and they will go to the counter for you and order it. You will hand them cash. It’s so easy and convenient and there are never any lines to order even on the busiest nights. Tijuana has this figured out. For clubs like Ranchers that attract a primarily male audience, there are stripper shows every hour. The strippers are men in thongs who dance on the bar. That’s all. They don’t actually “strip” but if you give them some cash they will come down from the bar counter and dance with you. Every gay club also has drag shows that run throughout the night. Latinos is the best where the drag stage takes up most of the bar and people actually come to watch the show. Another beautiful think about Latinos is its homage to Frieda Kahlo. 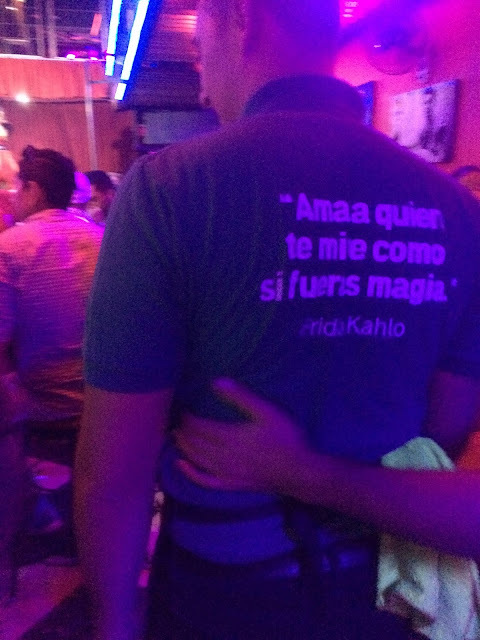 The shirts say “Ama a quien te mire como si fueras magia” - "love the one who looks at your like you're magic" with pictures of Frieda and Chevela Vargas on the walls. The music is the best part about the gay bars. I love Latin music and Cumbia. I discovered many of my favorite songs from the dance floor’s of Tijuana’s gay bars. Hipsters bars are almost the opposite from gay bars in may ways. They are often not open every night – only Friday and Saturday. You have to order at the bar. Everyone is drinking cocktails. Amazing, gorgeous, elaborate cocktails. More tourists than locals abound, whereas in gay bars, it was primarily a Mexican crowd. I’ve decided to describe each bar individually since they all have some unique differences. 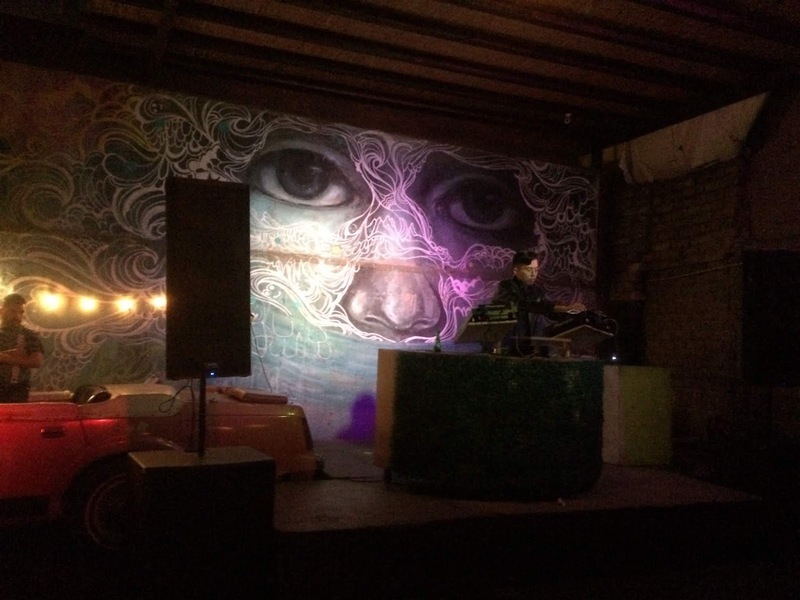 Amazing cocktails abound in this Mezcal-themed nightclub. Go too late and it’s so crowded you can’t move. I went early and was able to sample a flight of Mezcal with fruit and a flight with cream. This club has multiple rooms with very different. Starts off with the tradition tables and bar counter, then moves to a dance floor, the an open outdoor space for mingling and dancing. The problem is that they are always playing, House music, which I hate. Another favorite of mine for cocktails, this is a place to come sit at the bar and watch the bartenders work their magic. Of course, you could get a booth and order food, but I prefer the more interesting experience of mingling. 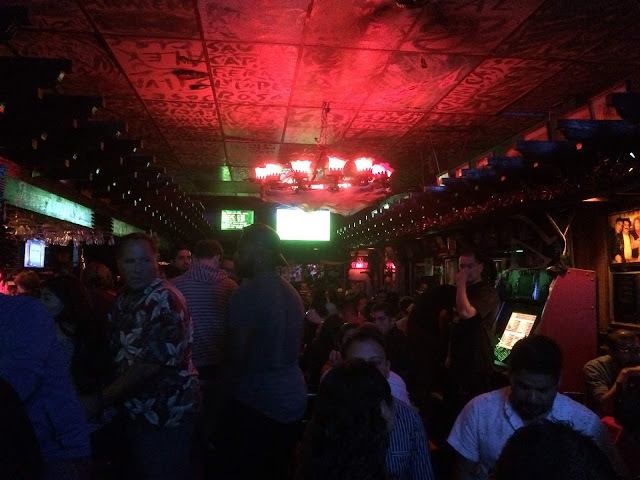 Come early because they close around 1:00 or 2:00am, which is early by Tijuana bar standards. Moustache Bar is a beer-only bar with live bands that play on the weekends. 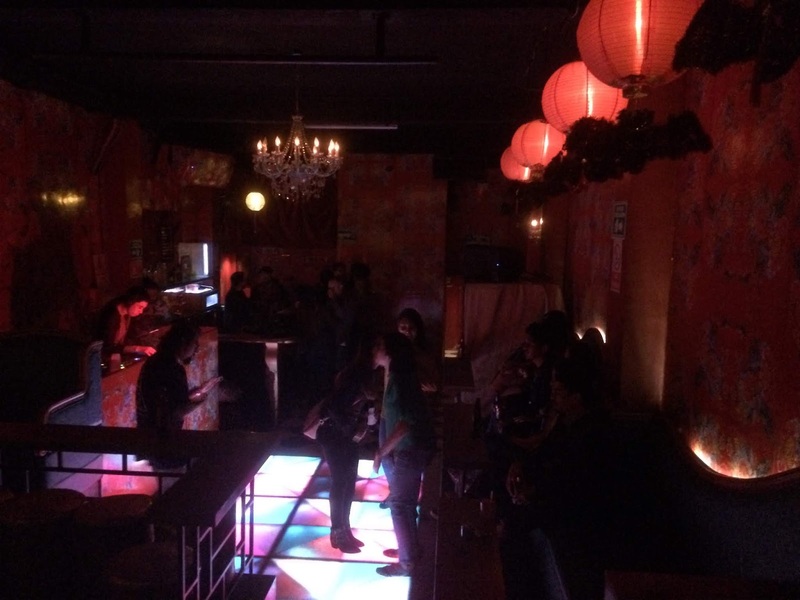 Dandy is the oldest bar in Tijauna and still attracts a local crowd. 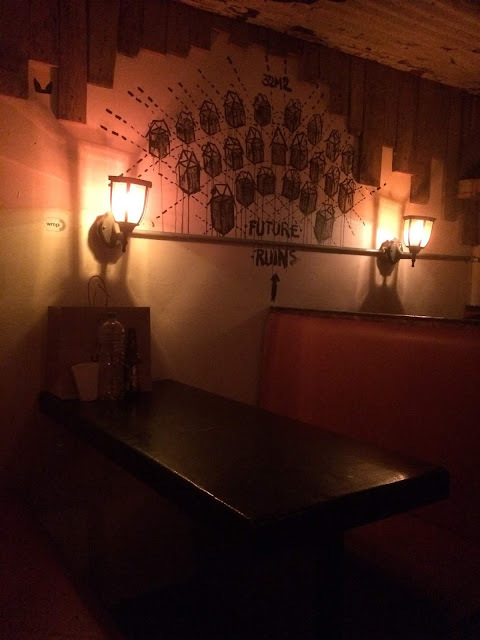 Hipsters love it because the furnishing are largely unchanged and it is frequented by people of all ages, which makes it feel less “discovered” than places like La Mezcalera, which draw many younger clientele from across the border. Americans – bring cash. You will not be pulling out a credit card anywhere.